A typical Gmelius invoice includes your company's name, VAT number and address. 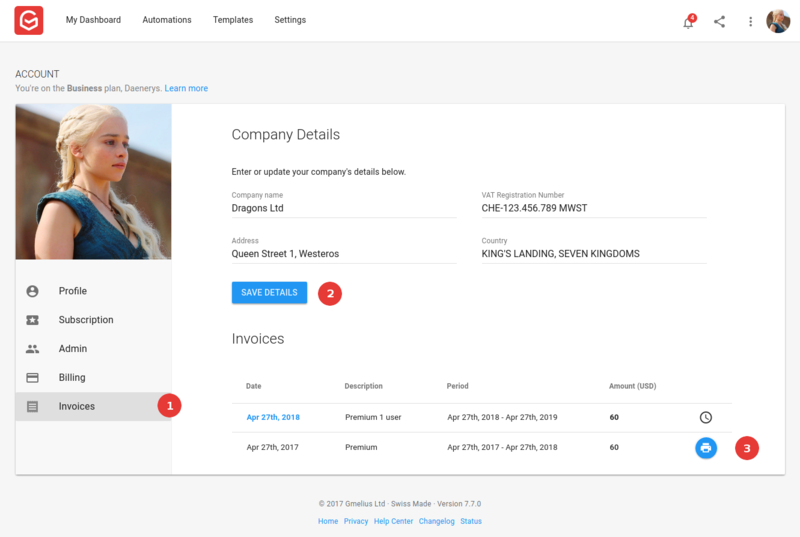 Click on "Invoices" (1), enter your company's details and save them (2). To save the invoice as PDF or print it, just click on the printer's icon at the very right of the invoice (3).